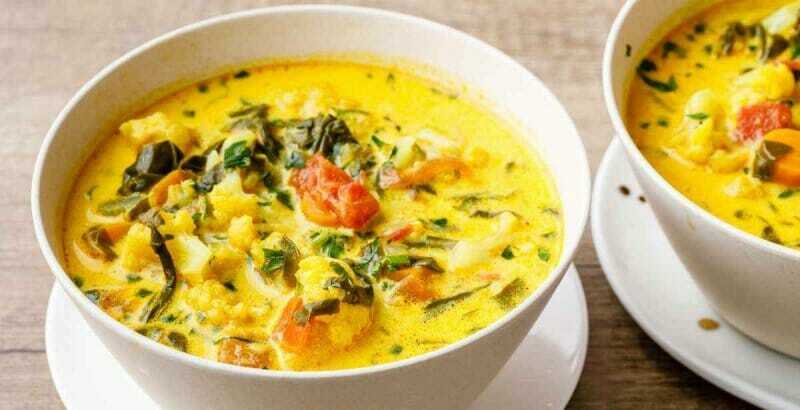 This vegetarian paleo cauliflower turmeric stew is comforting, hearty and ridiculously good! Plus, it’s packed full of anti-inflammatory ingredients and belly-filling fiber. If you love turmeric and cauliflower, this stew is going to become one of your new favorites.